Hullcam let's you add cameras to any part of your vehicle or construction. - Added the new camera science module, from L-tech Science, to every camera. - Launchpad camera - made for being set up around the launchpad for great views of lift-offs. Future update will have a moving version. - NavCam - tiny with a wide FOV, mainly for piloting rovers. Has a static-y overlay built into the model. - BoosterCam - a variation of aerocam; two cameras built in, facing up and down. -Added all parts to the tech tree. -Added Ordan Industries Telescopes(with permission of hubbazoot and added them to Unmanned Tech. -Added part Basic Hullcam Deluxe and to Science Tech. -Made the keys configurable using the same config syntax as the game itself. The included config file is the one I made for dvorak, while the default without any config replicates the original behavior. The config can be dropped anywhere in GameData. - Added a check that the current camera is flight, using a CameraManager object referenced in e.g. SteamGauges code. This lets it interact nicely with stuff like IVA views. - Fixed unreliable action of next/prev keys. The problem was using "-=" instead of "&= ~" to remove a bit. 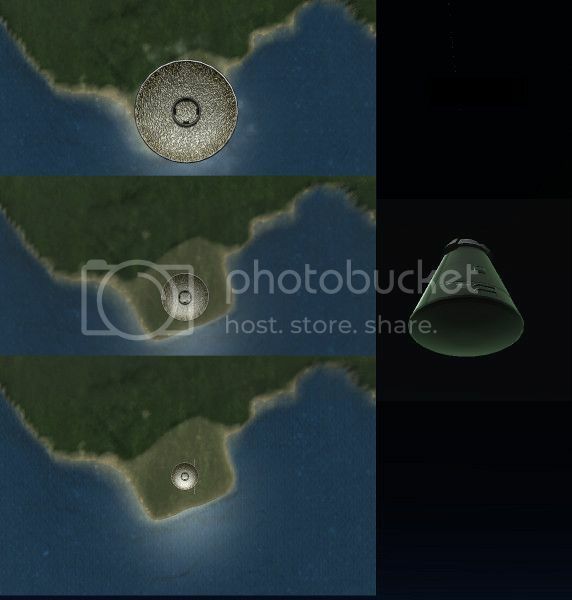 - Try to replace the map view hack with manually saving and restoring a couple more properties. It seems to work, although I can only guess at the full purpose of the map view hack. - Glitchy switching between multiple cameras with next/prev keys because they all tried to handle the key. 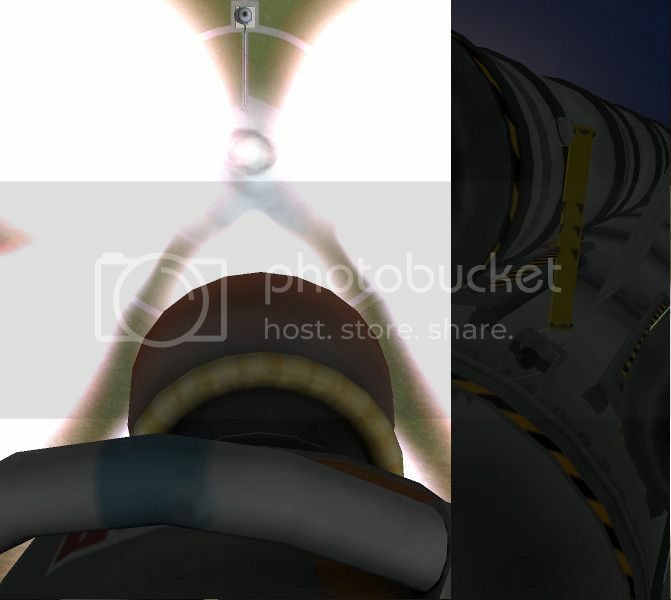 - Crash if exiting to space center while a camera is active. - Changed "exit hullcam view" key to Backspace. - Added areocam180 part, which has a 180 rotated camera view. - Tweak the areaocam and areocam180 field of view. - Added aerocam, an aerodynamic side mounted camera. - Fixed camera bug when returning to VAB/SPH. Command Pod MK-1 with hullcam on the bottom looking at dropping heatshield. Hullcam view of the bottom of a rocket. Rubber Ducky - Camera models. a.g. - Configurable keys through config files and various code fixes. doesnt change these keys yet you can help? Please help, I have this mod but once I enter the cam the controls wont let me get back out any suggestions? OMG!! THANK YOU SO MUCH FOR UPDATING THIS MOD TO 1.0.5!! The fact that i'm miserable due to this not being compatible with the current version of KSP, shows just how much this Mod is above all the rest. Hullcam VDS 0.52 is not compatible with KSP version 1.1.2. Which is sad because I wanted to get some cool shots for a teaser trailer :( plz make it compatible. It's nice to have some cams on the rocket. But the overlays for the black and white cam and so on are not visible. It is just a camera. I only use the Astronomers Pack without citylights. Can you change the temperature tolerance on the cameras? Whenever I'm trying to use areocams on the ascent, they end up burning. you can do that manualy. its very easy to do with almost every part. use google if you need a tut. find the text that says: "CycleToMainCamera"
View gets stuck in a hullcam and I can't switch it back to normal? Very frustrating. This mod seems to not work the way it's intended with my instal of KSP. I've even used a fresh instal just to be safe and still not working properly.